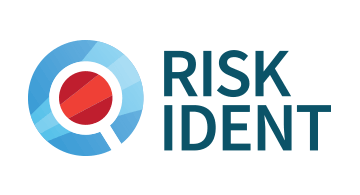 RISK IDENT is a software development company that offers anti-fraud solutions to companies within the e-commerce, telecommunication and financial sector. We are experts in data analytics and machine learning. Our key products are FRIDA Fraud Manager, DEVICE IDENT Device Fingerprinting and EVE Evaluation Engine. Use cases include payment fraud, account takeovers, fraud within account and loan applications. FRIDA is the all-in-one solution for intelligent fraud prevention. All customer transactions will be automatically analyzed and scored by using powerful machine learning algorithms. FRIDA is a software solution that complies with highest data privacy standards, all components can be quickly integrated, either as SaaS or as an on-premise solution. FRIDA sets new standards in user experience. All data can be easily visualized. There is no steep learning curve for the fraud prevention team, FRIDA can be mastered after a few hours of training. And FRIDA will learn by every new fraud case, automatically adapting to new fraud patterns without any additional configuration. DEVICE IDENT offers the most sophisticated device fingerprinting technology on the market today. Efficient rule sets calculate a risk score to every device within milliseconds. Push mechanisms will immediately alert you of fraud cases. Furthermore, all data can be easily obtained via an API to include it into fraud prevention processes. EVE is a flexible platform to cover different aspects of risk management for any kind of transaction evaluation. It applies selected machine learning algorithms to evaluate different input streams for a real-time risk assessment. EVE can be trained with historical data but will improve automatically by evaluating and adapting to new fraud patterns.